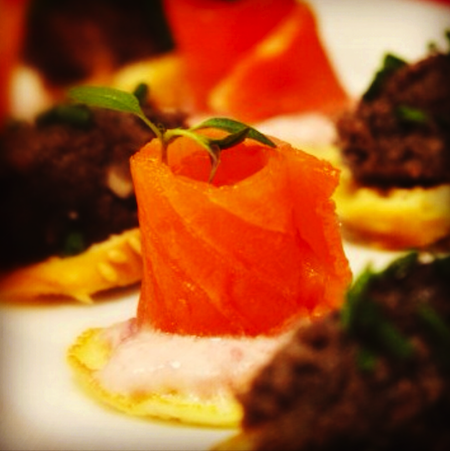 Christmas Canapés with Feel Good Food! No Sunday Tittle Tattle today because I am totally Tittle Tattled out at the moment. There were some pretty random posts last week including a rant about the phrase “sleeps until Christmas”, so go and have a look at them if you want your fix of Ruth’s rambles! Today, though, we’re all about tasty Christmas food. 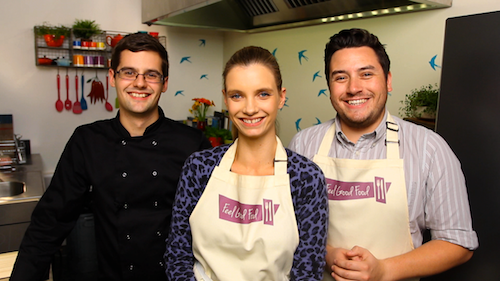 I have been busy filming some cooking shows with the brilliant guys from Sorted Food for a new channel called Body Talk. I really enjoyed making our feature together, Feel Good Food. Each recipe has something “feel good” about it, whether the food is lower in saturated fats or carbs, whether it is really quick to make or perhaps a healthy version of a takeaway favourite. The episode below demonstrates two very easy but very tasty Christmas Canapés – they were so addictive! There’s a smoked salmon blini and a mushroom croute. Have a watch – the bagel trick is just genius! You’ll probably have most of the ingredients already if you’ve done your Christmas shop, but of you want full list and method, have a look on the Sorted Food website. Previous Post I’M OFFICIALLY ON HOLIDAY!